This personalized zaga snack wide promo pack bag is a 6" bag filled with pretzel snaps. Price includes four color process graphics. The Zaga Snack Wide Promo Pack Bag with Pretzel Snaps is a sure-fire giveaway that guarantees a lasting brand impression on the customers. Imprint your company’s logo on the snack pack to take your brand to the next level in the marketing arena. 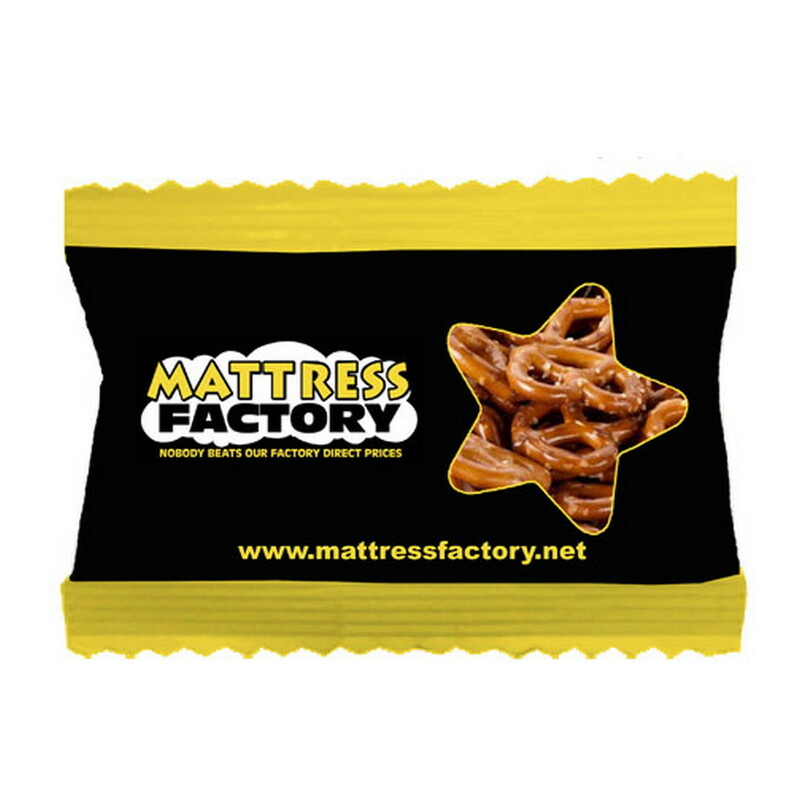 It features a 6" bag filled with your favorite pretzel snaps which ensures that your clients remember your brand as the best among the rest. Give away the snack pack at trade fairs, carnivals, sporting events, schools, colleges, offices, and community events to get the maximum return for your investment.